Where to get legal Royalty-Free music for your videos? Where can I find Royalty-Free Music? What’s the price for a song to be used on Youtube? Youtube is the third most visited website on the whole Internet nowadays, only behind Google and Facebook and contains the vast majority of the videos uploaded to the Internet. We will show you below where to get and how to use royalty-free music in your Youtube videos to be able to monetize them and not to worry about content ID, the algorithm that blocks any video uploaded that do not comply with the copyright rules. 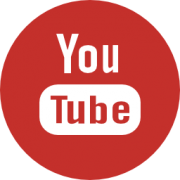 .What is Youtube content ID and why should I worry about it? Content ID is an algorithm system that scans automatically all videos uploaded to YouTube and checks if the material used -music, image, etc- is under copyright. If it finds something, notifies the user and also the legal holder of the content. For example, if we upload a video and we add the song “Viva la vida” on the background, YouTube will scan the video and notify Coldplay that we’re using their music, sending us a warning. The video can be muted in some or all countries. The video can be automatically eliminated. If we are monetizing the video, we would share the benefits with the copyrights proprietor, giving them automatically half of our profits. Easy, just adding to our videos royalty-free music. Some SEO studies argue that adding the right music to your video can improve their rankings and views by more than 50%. Where to find royalty-free music for Youtube? There are many web pages on the Internet that provide us songs (even with lyrics!) or sound effects to add to our Youtube videos, some of them for free, being the most well-known of them… the same Youtube! Yes, exactly. Youtube has an amazing tool called Audio Library, where it classifies all their music and sound effects that we can add to our videos without paying a dime. What is important to have in mind is that, if we see an attribution icon, it means that this song, in particular, is under a Creative Commons license and therefore we must mention in the description of our video who is the artist. Having this said it’s very likely that, being free music, we don’t find exactly what we’re searching for, that we don’t want to attribute the author or that the quality is above expected. In such cases, there are marketplaces specifically dedicated to it. There are, as well, monthly payment services for which you can access a library of more than 300,000 royalty-free songs. The best known is Epidemic Sound, and that’s why the most famous YouTubers and big channels use it. Pricing starts at €13/month for channels of up to 500,000 monthly visits, €27/month for channels of up to 5 million monthly visits and €125/month for unlimited visits. Thanks to this, you can monetize your videos without any further problems and you will never receive a copyright claim from YouTube again. And you can try it during 30 days for free. Audiojungle: With a catalog with more than 200.000 songs updated daily and with a search engine that finds quickly everything we need with only a mood/genre keyword, this is our favorite royalty-free marketplace. Prices range from $1 to $29 for a Standard License, the one we need for any Youtube video. Jamendo: Here we can find free songs -under attribution- and also pay a license for these same songs to be able to use them in commercial projects or in Youtube videos without having to mention the artist. What’s the price for using a song in a Youtube video? This is an important question, because sometimes in the rush or ignorance, we don’t bother to check the details of the license we have bought, something that can lead us to have future problems. If we’re going to use the songs on Youtube, the subscription in Epidemic Sound will cost us simply 13€/month and in Envato Elements 14.50€/month, or its equivalent in the currency of your country. This prices are very affordable and will give us the freedom to do whatever we want with the song, modify it, cut it or enlarge it as we please. You can learn more by visiting our page about Royalty-Free Music or learn how to choose the best music for your videos.